New Delhi: The Empowered Committee of Secretaries (E-CoS) will finally take up higher allowance report on June 1, said Shiv Gopal Mishra, secretary of the National Joint Council of Action (NJCA), which is a centralised union of several central government employees unions, who met the Cabinet Secretary P K Sinha. The 'Committee on Allowances', which examined the 7th pay commission's recommendations on allowances, submitted its report to the finance minister Arun Jaitley on April 27. The committee on allowances has suggested some modifications in some allowances that are applicable universally to all employees as well as certain other allowances which apply to specific employee categories, the finance ministry said in a statement. 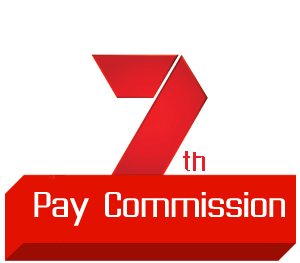 However, the Committee's report on allowances under the 7th Pay Commission hasn't made public. The committee on allowances report is being currently examined by the Empowered Committee of Secretaries (E-CoS) headed by Cabinet Secretary P K Sinha set up to screen the 7th pay commission recommendations and to firm up the proposal for approval of the Cabinet. In June 2016, the government approved 14% pay and pension hike for central government employees and pensioners under the 7th Pay Commission recommendations. The decision on allowances was postponed at that time because the 7th Pay Commission had recommended abolition of 52 allowances and subsuming of another 36 allowances into larger existing ones out of total 196 allowances. Employee unions were opposed. Accordingly, the government implemented the recommendation of the 7th Pay Commission from January 1, 2016 in respect of basic pay and dearness allowances, other allowances continued to be paid at old rates. So, the finance minister Jaitley referred allowances to the committee on allowances headed by Finance Secretary Ashok Lavasa in June last year. The 7th Pay Commission also recommended slashing the House Rent Allowance (HRA) from 30, 20 and 10 per cent to 24, 16 and 8 percent of the Basic Pay for Class X, Y and Z cities respectively. The National Joint Council of Action (NJCA) demanded the government to implement higher allowances without further delay with effect from January 1, 2016. The NJCA also demanded HRA at the rate of 30%, 20% and 10% instead of 24, 16 and 8%.